Can Alou ist located on the crest of a hillside in this verdant valley amidst a setting of total tranquility - no cars, no planes, there is only the sound of migrating birds and sheep bells in the surrounding almond groves. 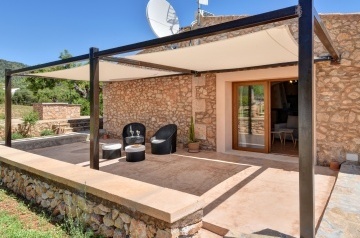 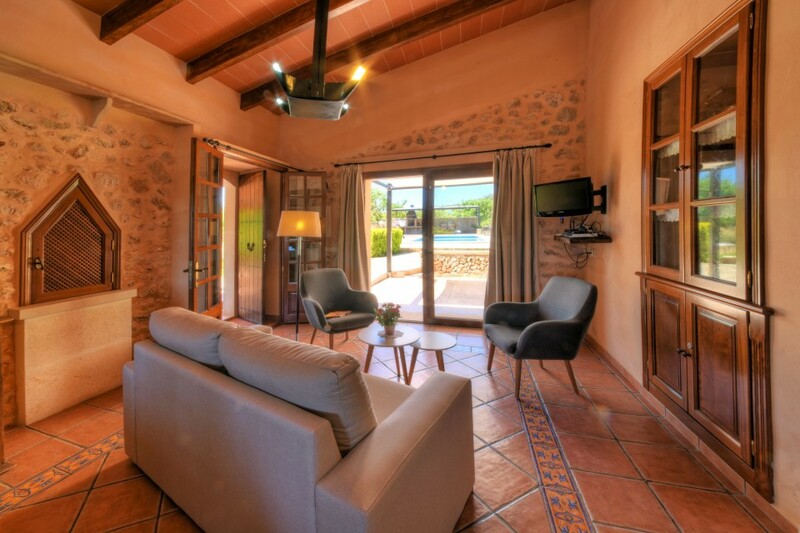 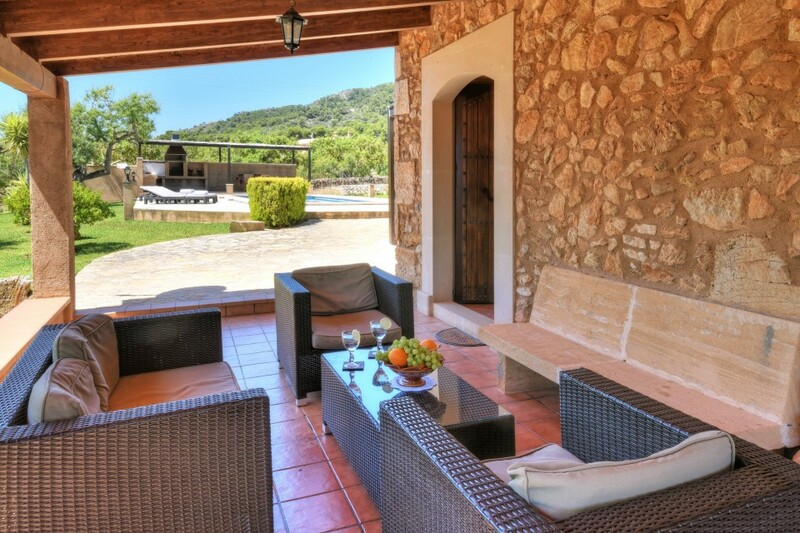 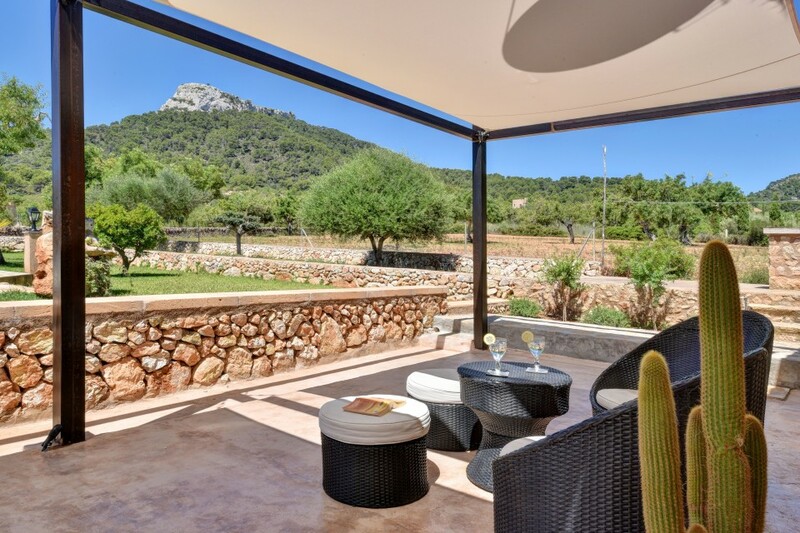 The local village of S&apos;Horta is only a five minutes drive from the cosmopolitan Cala D&apos;Or which seems a different world away, when you are sitting by your swimming pool enjoying refreshing chilled drinks, just relaxing and soaking up the summer sun. 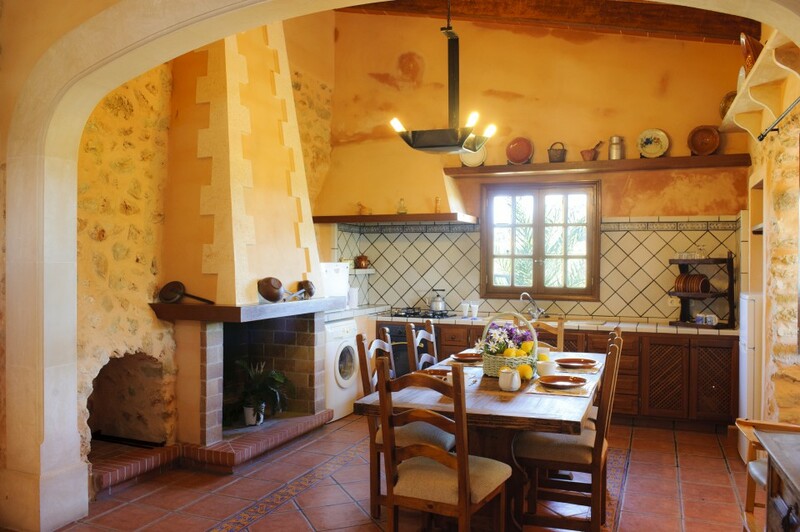 Can Alou has been painstakingly restored stone by stone over the past four years by the owner. 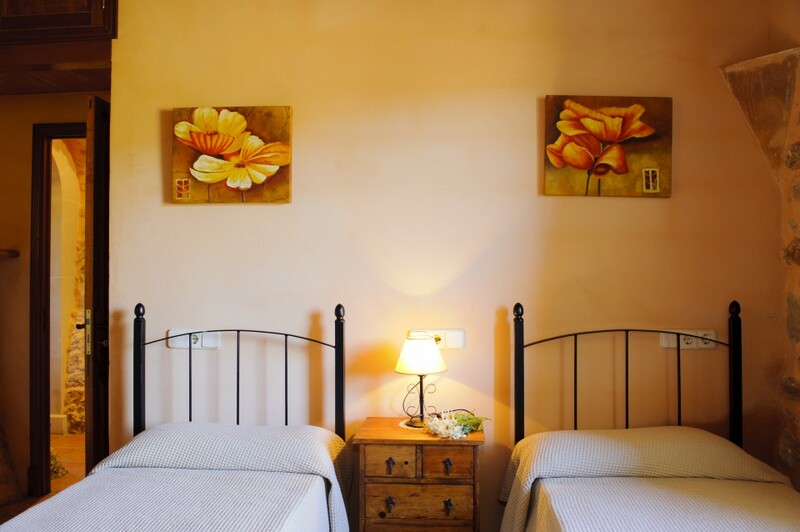 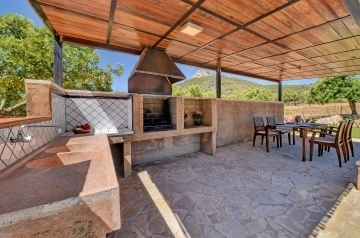 The accommodation offers all that you would expect when your holiday is designed for outdoor living. Upon entering is the attractive living/dining room with Satellite TV, DVD player and comfortable sofas. This room further extends into the open plan farmhouse style kitchen with electric oven/gas hob, fridge/freezer, microwave, feature fireplace and washing machine. 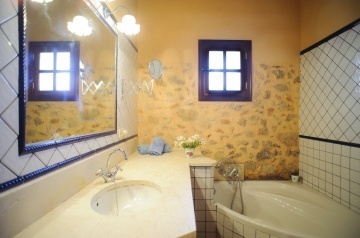 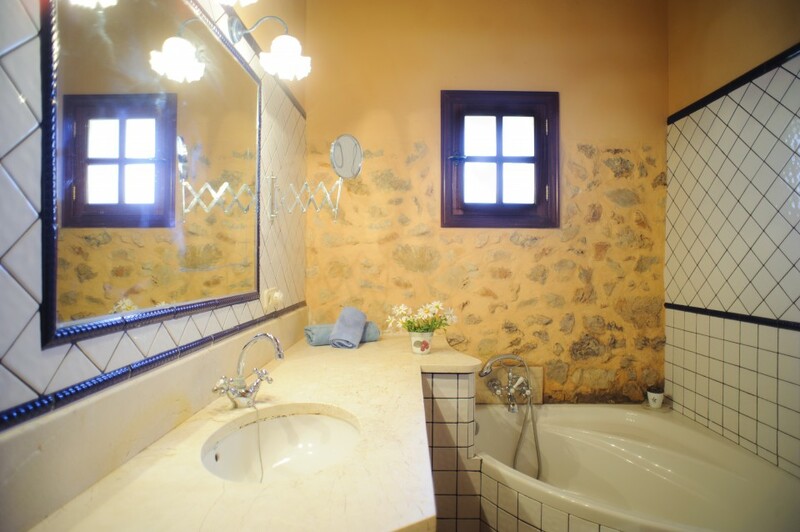 Two bedrooms, one double and one twin share one full bath/shower room. 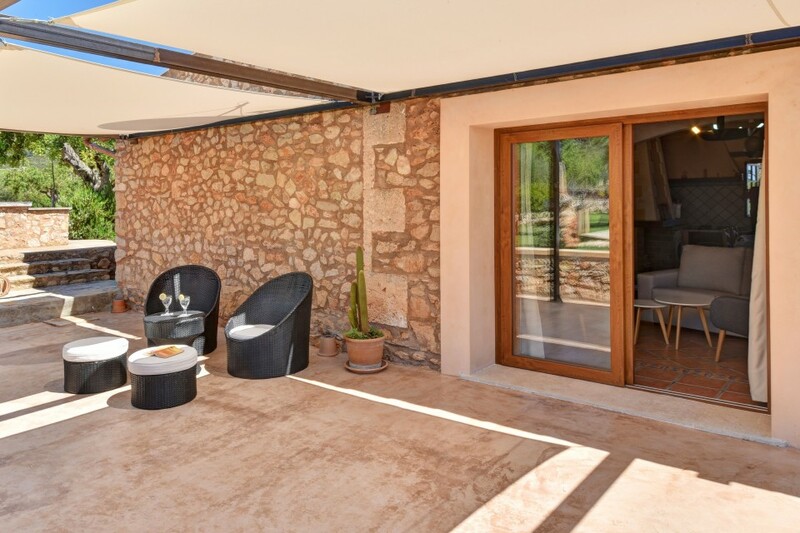 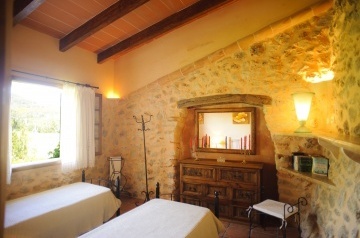 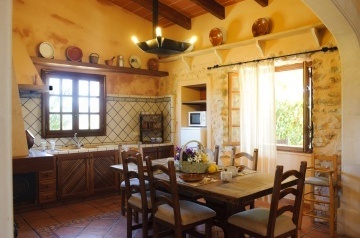 Throughout, this cottage is comfortably furnished in local style with impressive interior stone walls, helping create a very natural and restful ambience. Free standing cooling fans in bedrooms. 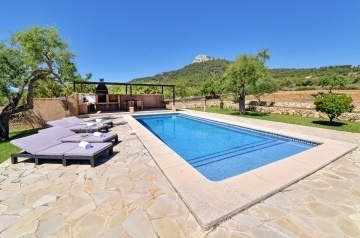 Set in four acres of open countryside the brand new mozaic tiled swimming pool has roman steps surrounded by furnished sunbeds and grassed areas. 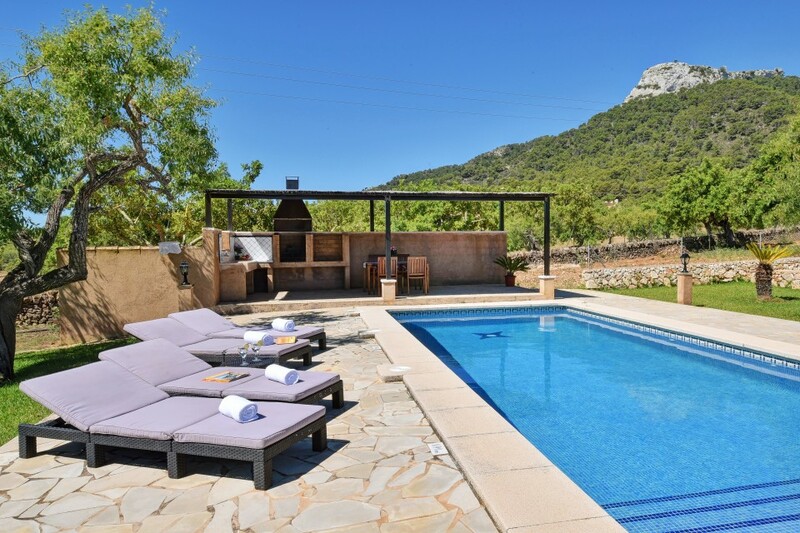 The stone built BBQ is set to one end of the pool where you can enjoy a memorable meal whilst watching the flame red sunsets dipping behind the mountain peaks. 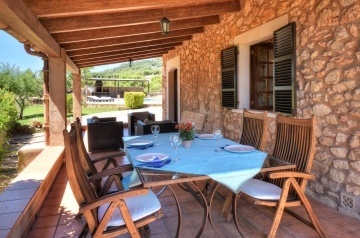 The front covered terrace is also an ideal al-fresco dining area. Can Alou is a couples paradise.